The Bohemian Symphony Orchestra Prague was founded by its current director and chief conductor Martin Šanda. High professional level of musicians guarantees supreme quality and perfect plasticity of musical interpretation. The orchestra has a large repertoire and interprets also the most ambitious works composed for the symphonic orchestra. The basic orchestra formation consists of 70 professional musicians. Yet more musicians may be invited for large symphonic pieces, and conversely, the the size of the orchestra may also be reduced. The standard formation, however, maintains high interpretative quality and perfect symphonic sound. The orchestra collaborates with well-known instrumentalists, singers, and choirs – such as the Bohemian Choir Prague. European Tour, The Original Rock Meets Classic 2016 – Joey Tempest (Europe), Steve Walsh (Kansas), Midge Ure (Ultravox), Scott Gorham, Ricky Warwick (Thin Lizzy), Andy Scott, Pete Lincoln (The Sweet), Dan McCafferty (Nazareth) and exclusively Doro. Gianna Nannini – Arena di Verona, Italy. Vanessa Mae – DRFG Arena Brno. The Celtic Rock Opera EXCALIBUR. Subscription series of concerts in Prague’s Municipal House and the Cathedral of St. Clement, Prague. Rock Festival in Vienna, together with the band Sabaton. A series of concerts with the band Kosheen. Subscription series of concerts in Prague’s Municipal House, Hybernia Theatre and the Cathedral of St. Clement in Prague. 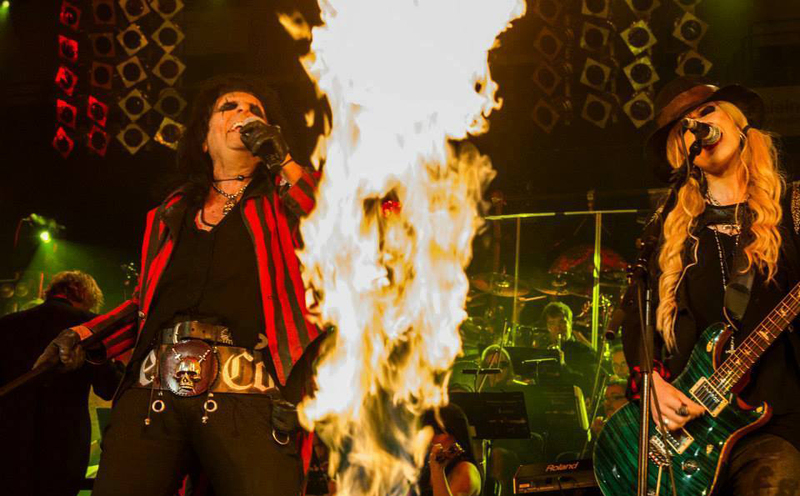 The Original Rock Meets Classic Sommershows – Age Of Rock and Wacken Open Air – Dee Snider (Twisted Sister), Joe Lynn Turner (Rainbow), Michael Kiske (Heloween), Marc Storace (Krokus), Jeniffer Haben (Beyond The Black). Europäisches Friedenskonzert – Kulturpalast Unterwellenborn Open Air. Series of concerts in Prague’s Municipal House, Hybernia Theatre and in the Cathedral of St. Clement in Prague. 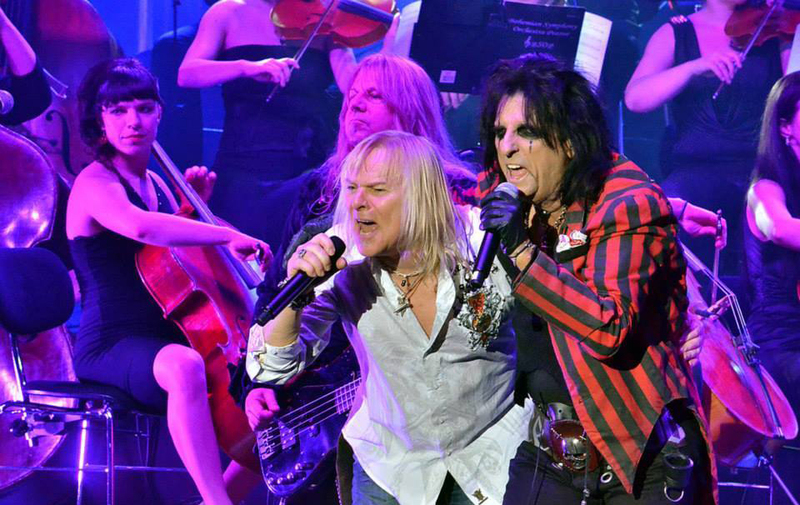 European tour Rock Meets Classic in 2013 together with the leader of the band Queen / Free / Bad Company (Paul Rodgers), Hooters (Eric Bazilian), Journey (Steve Augeri), Manfred Mann’s Earth Band (Chris Thompson), and exclusively, Bonnie Tyler. European tour of The War of the Worlds (Jeff Wayne, Liam Neeson, Marti Pellow, Will Stapleton, Lily Osborne and more). Subscription series of concerts in Prague’s Municipal House. Tour Rock Meets Classic 2012 with leaders Deep Purple (Ian Gillan), Toto (Steve Lukather), Survivor (Jimi Jamison), Manfred Mann’s Earth Band (Chris Thompson) and Robin Beck. Successful concerts in Germany, Switzerland, Holland and Czechia. Tour Rock Meets Classic 2011 in cooperation with Nazareth (Dan McCafferty), Foreigner (Lou Gramm), Barclay James Harvest (Les Holroyd), Krokus (Marc Storace) and Deep Purple (Ian Gillan). CD by Jitka Válkova (Miss of the Czech Republic 2010) and CD by Gabriela Goldova. In November, the orchestra gave a gala concert during the ceremony of lighting of the Christmas tree on Old Town Square in Prague (cast live on TV Nova). Exclusive tour Rock Meets Classic featuring leaders of the bands Nazareth (Dan McCafferti), Toto (Bobby Kimball) and Foreigner (Lou Gramm) and conductor Philipp Maier. Successful concerts in Germany, Switzerland, Holland, Czechia. Fundraising concert for Peppermint Foundation which offers aid to children leaving children’s homes. 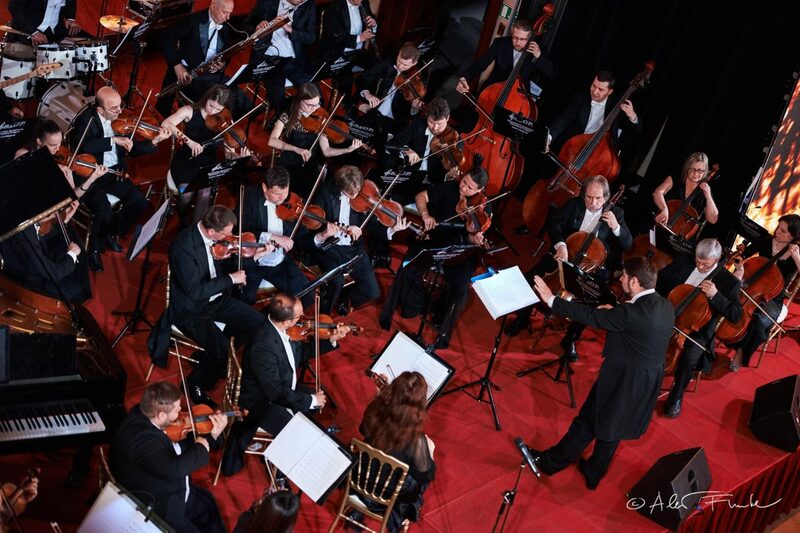 Partnership between the Bohemian Symphony Orchestra Prague and United Arab Emirates Philharmonic Orchestra. New Year’s Tour in Holland with international soloists and conductor Jeroen Weierink. Music for the Czech film Three Seasons in Hell, music author: Filip Jelínek, produced by Dawson Film in Czech–Polish-Slovakian-German co-production. This movie won three prestigious Český Lev awards. Exclusive tour with the band Corvus Corax (touring among other cities Leipzig, Berlin, Hamburg, Dresden) in cooperation with Passionata Chor Berlin. Soundrack for the computer game Dragon Age recorded with Corvus Corax. Concert the Gershwin Gala in Vienna Konzerthaus, featuring soloists of Broadway Theater, New York. Christmas CD by Iveta Bartošová. Concert tour in Holland (Bergen, Haarlen, Amsterdam – Het Concertgebow) together with Anna Fedorova, Japanese Legend of Mozart Choir and the conductor Yasuhiko Daimon (Japan). Festival concerts in Ohrid (Macedonia) and Kotor (Montenegro), conductor Young Chil Lee and Korean violoncellist Young Chang Cho. Japanese tour (Tokio, Hiroshima, Nagano, Nagasaki, Yokohama, among others) with the Chamber Opera Prague performing The Magic Flute, The Barber of Seville, The Marriage Of Figaro and Opera Gala Concert. CD “No. 22” by Iveta Bartošová. Sountrack to film Veni, vidi, vici (production Metropolitan film). Concert tour in Spain (playing in Madrid, Alicante, Cordoba, San Sebastian,Vigo, Gijón, Logrono, and more). Festival Cantelli–Novara in Northern Italy. Concert for the occasion of the new CD release (conductor Young Chil Lee from South Korea and international soloists José Antonio Moreno from Spain, Roman Simovitz from Montenegro, Hye Young Song from South Korea) in Hybernia Theatre, Prague.